How to explain what kind of touch Lomi Lomi Nui is ? Today I am with this question: how to explain what kind of touch Lomi Lomi Nui is, to somebody who has never experienced it? 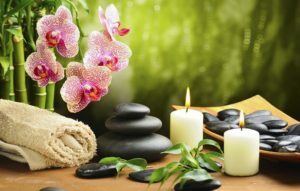 I get many asking for massage sessions, and I always try to find best words to describe what kind of massage they can expect. But it´s not easy. I do my best to talk about touch, but to talk about it will always be… “the finger that points the moon, not the moon itself”. Lomi Lomi Nui is both very gentle and very deep. It is soft and flowing, but it also goes deep into muscles. It is relaxing and not painful, but at the same time, it´s efficient and effective. It´s this kind of touch that is loving, mindful and caring, and at the same time melts all your tensions, without being violent. Some of my friends said that it´s like doing yoga, but better, because you don´t have to do anything. And the other day I heard from my client, that it was very soft but the body felt like after a good gym training. Make an appointment for your Lomi Lomi Nui session and experience this amazing massage yourself! Next PostNext How often should you receive Lomi Lomi Nui for the best results?